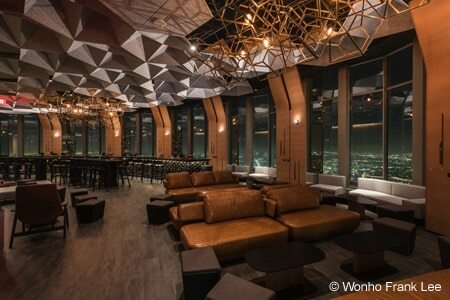 Dine high in the sky on the 71st floor of the U.S. Bank Tower in downtown Los Angeles. 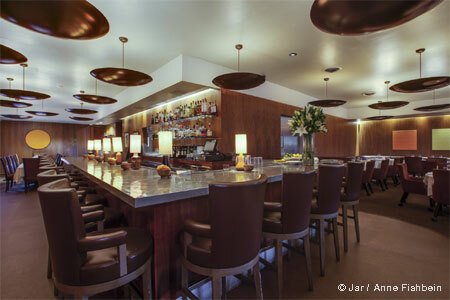 About the restaurant: From its perch on the 71st floor of the U.S. Bank Tower in downtown Los Angeles, 71Above presents expansive views of Los Angeles from every vantage point in its circular space. Guests can choose from a variety of dining experiences, from 12-seat hightop tables in the bar to booths and tables in the main dining room to chef's tables facing the kitchen. About the food: Chef Vartan Abgaryan has moved on from 71Above, and longtime colleague and chef de cuisine Javier Lopez has stepped into the executive chef spot. On offer are a two-course lunch menu ($35) and three-course dinner menu ($78) featuring dishes such as poached oyster with uni, caviar, tarragon and Champagne; Wagyu sirloin steak tartare; and scallop with carrot, coconut, curry, almond and chile de árbol. Reservations are also available via the Tock reservation system.